Imagine. A powerful magic box. RealTime Talent doesn’t have a magic box. What we do have is Gartner’s TalentNeuron Recruit – an online job post database that pulls from over 60,000 job posting boards world-wide every single day, aggregating real-time labor market information in a user-friendly interface. Through annual negotiations with Gartner, we are able to make this tool more accessible to our many partners invested in the workforce and education ecosystem, including nine non-profit career services organizations. Avivo, Emerge, Goodwill Easter Seals, HIRED, Hope United CDC, Interfaith Outreach, Jewish Family and Children’s Service, Lifetrack, and Project for Pride in Living are all using TalentNeuron Recruit. Christy Simpson, a project manager at HIRED who focuses on business development, uses TalentNeuron to engage with employers. “Employers are reaching out to organizations like HIRED, actively seeking talent to fill the many positions they have open,” says Simpson. “TalentNeuron is a great resource to provide insight for employers about their posting practices that they may not even know about” she adds. Christy’s colleague, Sarah Morgan, works with job counselors and the job-seekers they guide. “This database helps us to educate the job-seekers on critical hard and soft skills in demand. We can use the information from TalentNeuron to help job-seekers not only express their skills in interviews, but also know which skills or certifications would be beneficial to attain,” says Morgan. Job-seekers engage in a Career Exploration workshop presented by HIRED in collaboration with CareerForce, and Hennepin Tech, using data from TalentNeuron Recruit. RealTime Talent not only provides access to TalentNeuron, but also on-site training and consultation on use of real-time data with job-seekers and employers. 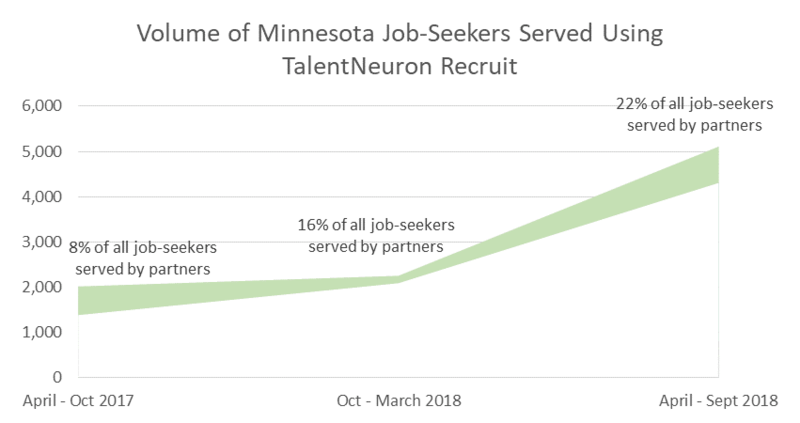 Along with the nine non-profit organizations mentioned earlier, TalentNeuron is used by the DEED CareerForce centers and other DEED supported career services organizations, the Minnesota State College and University system, the University of Minnesota, a consortium of Minnesota’s private colleges, and the Minnesota Career Colleges Association. If your organization is interested in learning about TalentNeuron, real-time data, or RealTime Talent, reach out to Phil Arellano phil@realtimetalent.org. As Career and Technical Education awareness month comes to an end, we acknowledge our many partners that play a vital role in CTE and thank you for all your hard work in this space. 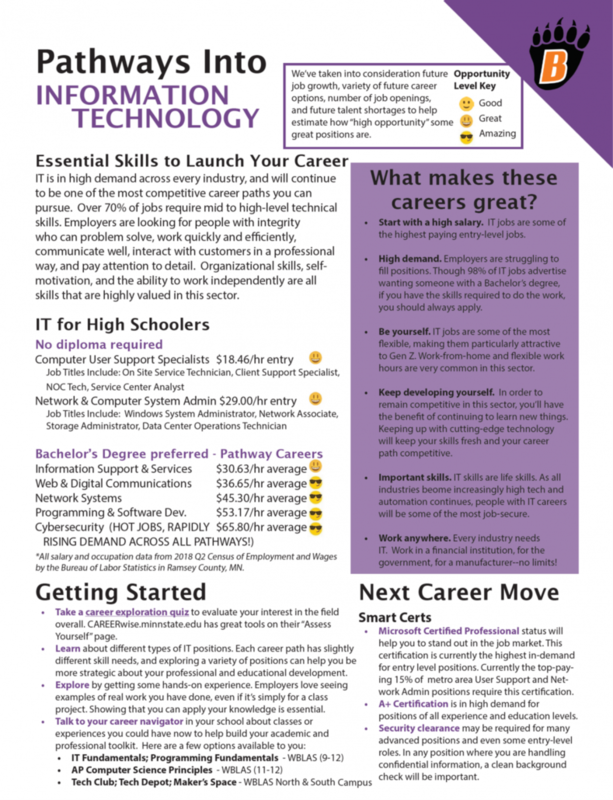 RealTime Talent has long collaborated with many of our CTE partners to provide labor market and career data aimed to inform students and job-seekers. In 2017, through Perkins federal funding, we created a series of reports offering insight into three career clusters through the lens of employer demand including Agriculture, Food, & Natural Resources, Business, Management, & Administration, and Finance. These reports, along with a series of career pathways reports, were distributed among CTE coordinators and educators throughout Minnesota. To view or download these reports, click HERE. Jenny Moore, the Career Pathways Navigator for the White Bear Lake Area Schools said, “I love everything about these reports” as she distributed them at a career expo attended by over 300 students and more than 70 industry partners. “It is truly amazing what RealTime Talent has done for our local community.” After Jenny shared these reports with secondary educators in her district, Shannon Grant, a Health and Physical Education Teacher at White Bear Lake High School, used the reports for a unique classroom assignment. Her students used the data provided on the career pathway handouts to gain insights and do further research on a career they may be interested in. 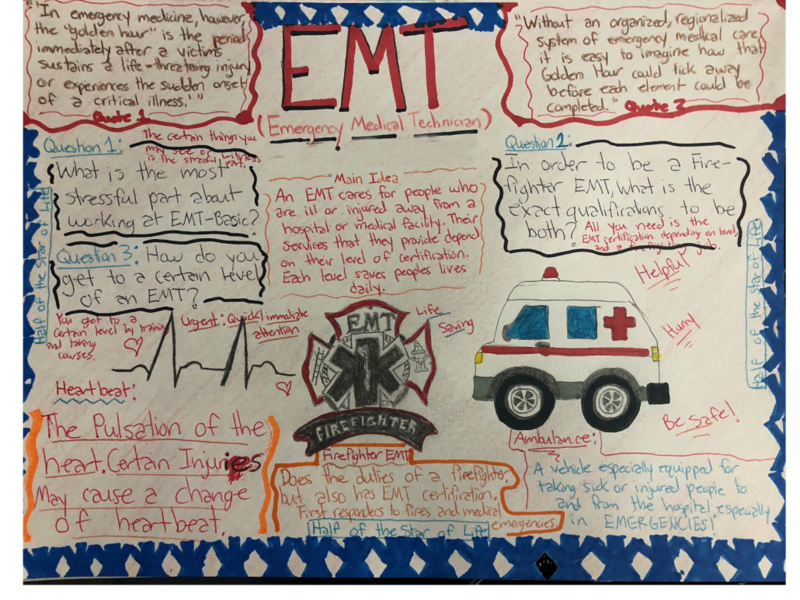 These students experienced a fun way to engage in career exploration and developed some creative handouts of their own as well. Creative work from a WBL student inspired by career data. As we continue to promote the use of tools that address labor force needs and support our education system, RealTime Talent has been working with multiple CTE consortia, providing training and data consultation with TalentNeuron – a real-time job post data tool. Recently, RealTime Talent trained 30 career counselors and educators from the Wayzata area high schools. We look forward to how these educators will incorporate real-time labor and career information into their own classes. If you are an educator who’s interested in our research services or real-time labor market tools, reach out to us today! If you have any questions about the work of RealTime Talent with Career and Technical Education, please contact Phil Arellano. RealTime Talent has been featured in the StarTribune twice so far this month, along with several organizational partners that make use of our data tools. In the Viewpoints interview with Neal St. Anthony that ran on May 6th, Project for Pride in Living and Jason Bruns, director of the Minnesota Center for Engineering and Manufacturing Excellence at Minnesota State University Mankato, were highlighted for how they use TalentNeuron Recruit with students and job-seekers. 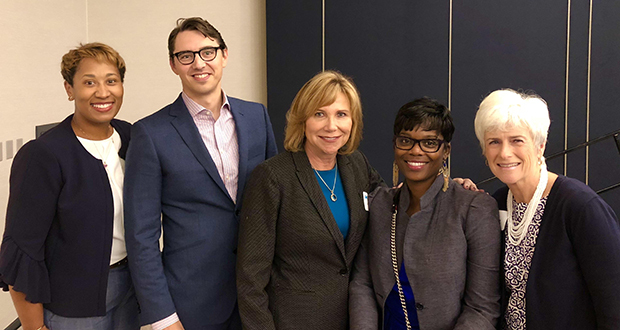 Among those partners featured in the second article were the Minnesota Chamber of Commerce, the Itasca Project, and Aaron Corcoran who has supported the work of the many workforce centers and Minnesota State partners in the Twin Cities. It’s no secret that there is huge demand for Home Health Aides across the United States. 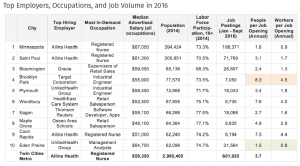 The Bureau of Labor Statistics put out a report early last year, and the Minnesota Department of Employment and Economic Development (DEED) followed suit in June 2016 with their article, “H is for Home Health Aide.” But will these positions be attractive to future workers who will have increasingly more choice in our nation’s job market and are looking for opportunities that offer a living wage and professional advancement? Maybe not, unless employers start changing what they offer. As many Minnesotans age and require additional medical attention (the population of Minnesotans over 65 years of age will increase by more than 400,000 people between 2014 and 2024), the need for Healthcare Support Professionals is increasing rapidly. Couple that with a growing preference to receive care in the home rather than in a care facility, the demand for Home Health Aides is skyrocketing. 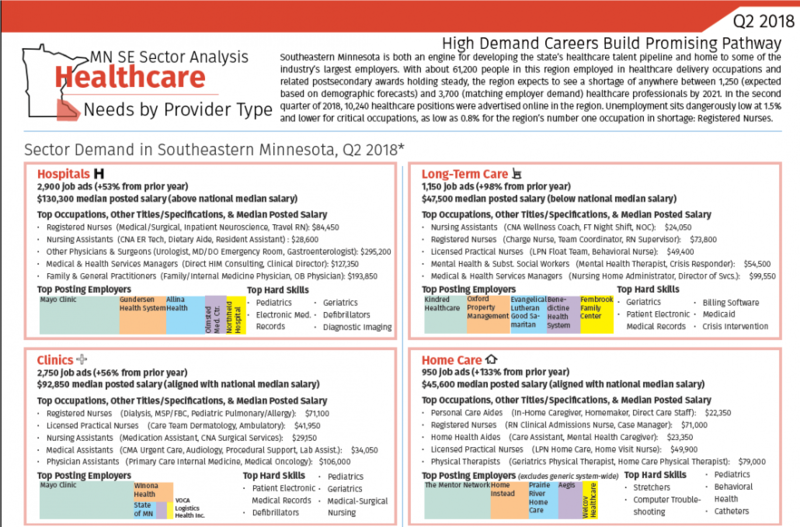 In 2016, there were approximately 27,550 Home Health Aides working in the state and 4,457 Home Health Aide job openings advertised online; the occupation ranks as the 21st most in-demand position and the 20th most common occupation in Minnesota today. Demand is projected to grow by 30.1 percent (9,254 jobs) between 2014 and 2024–the third highest growth rate of any occupation in Minnesota. 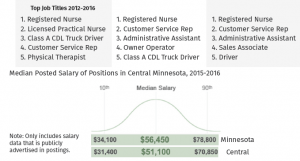 However, these positions offer some of the lowest salaries of any occupation in the healthcare industry, with a median wage of $24,944 and currently advertised positions only offering $20-26k as a starting salary–just barely hitting the threshold for a living wage for a single adult ($11.39 in Hennepin County). There may be little incentive to encourage workers to take on these roles as the number of job opportunities begins to exceed the number of available workers in the laborforce. We are already observing high rates of job vacancies in entry-level healthcare positions that require an Associate’s degree or less. 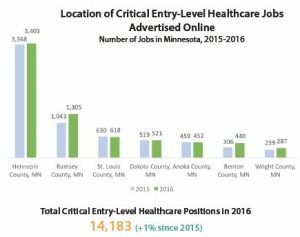 Online job postings in the Twin Cities Metro for low-experience, low-education Licensed Practical Nurses and Home Health Aides have increased more than 7% since 2015, dramatically greater than other entry-level healthcare opportunities. Hennepin County was home to 24% of the state’s total entry-level healthcare positions in 2016. As Minnesota continues to face changing demographics, how will employers respond to ensure that they attract the candidates they need? Hopefully, we will start to see rising wages for entry-level healthcare positions. For more data on healthcare occupations at the Twin Cities and Statewide level, check out our reports page. The 13-county Central Minnesota planning region had a population of 693,108 in 2014, almost 13% of the state’s population. With a larger population, yet a similar volume of jobs posted compared to other Greater Minnesota regions, the number of people in the labor force per job opening (potential candidates indicated below) is very high. This is the result of the region’s highly mobile labor force, with over 40% of the region’s working residents commuting outside of the region to get to their place of work according to one DEED analysis of the commute shed. Central Minnesota is a net exporter of labor with only 198,956 workers both residing and working in the region in 2013 according to the U.S. Census Bureau. 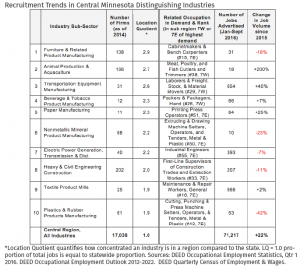 According to DEED’s Occupational Employment Statistics, about 16% of all jobs held in Central Minnesota are in production manufacturing, whereas production comprises only 11% of all jobs statewide. Healthcare and social assistance jobs are expected to increase in demand by over 28% through 2022, while production manufacturing is expected to increase by only 3%. In 2014, DEED identified ten industry sub-sectors that define the region by having significantly higher concentrations of jobs and firms than seen statewide. Overall, Central Minnesota has 9.7% of the state’s total employment, but is home to 25% of the state’s employment in animal production, furniture, and related product manufacturing. 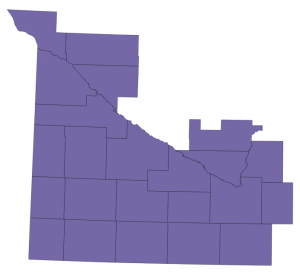 The projected slowed growth of manufacturing and production in the region is of particular concern for the local communities that rely on these economic niches, which are extremely diverse across the eastern and western subregions of Central Minnesota. Transportation services are in high demand in Central Minnesota, accounting for 17% of all jobs advertised online to date in 2016. Healthcare positions are the second most sought, with 14% of all postings pertaining to this sector. When health support occupations are included (3.2% pf the postings), the total healthcare function positions lead as the most-sought positions in the region. These types of jobs are typically advertised online whenever openings are available, and counts are a relatively strong representation of regional labor needs. However, a number of critical industries continue to post job openings in very low volumes and may under count actual need. Some of these industries include forestry and logging, paper manufacturing, electric power generation and transmission, and mining. 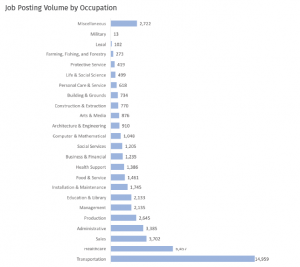 Highly unionized industries and temporary or seasonal positions are also not advertised online in large volumes, and other data sources might capture the true number of vacancies better. For the full report and a list of additional relevant data sources, see our Reports page. 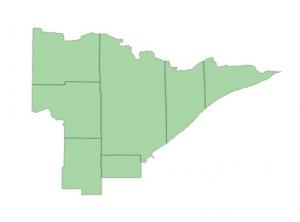 Home to 326,649 people in 2014, just 6% of the state’s population resides in Northeastern Minnesota–the beautiful Arrowhead Region. St. Louis County is the region’s largest county by size and population with approximately 61.5% of the region’s population. Jobs are highly concentrated around the region’s largest city, Duluth, which is located in St. Louis County. 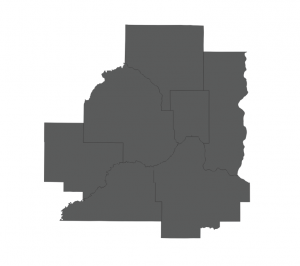 South and western counties of the region are growing at the fastest rates (Carlton and Itasca), while northeastern counties have seen steadily declining populations since 2000 (Koochiching and Lake). Healthcare jobs account for 29% of the 41,516 jobs advertised online in the region this year to date. The second most common types of job advertised in Northeast Minnesota were transportation-related, specifically for heavy tractor trailers and heavy truck driving. Manufacturing, construction, engineering, and marketing each saw notable decreases in job posting volume between 2015 and 2016. Some unique industry niches of the region, though not significantly represented in online job postings, include forestry and logging, paper manufacturing, electric power generation and transmission, and mining. For more information on the Northeast’s unique labor market, view the report here. 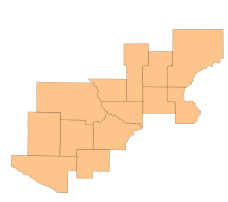 The 7-County Twin Cities Metro Area is the most densely populated region of Minnesota. With 2,985,405 residents, it composes over half of the state’s population (54.7%). Similarly, 54.6% of the state’s currently advertised jobs are found in the Metro region. It contains five of Minnesota’s most populated counties and two (Scott and Carver counties) of the fastest growing. The population is generally younger than the rest of the state, with only 11.8% of its population being over the age of 65, according to the U.S. Census Bureau (2014 estimates). The Twin Cities has become a hub for Information Technology, accounting for 15% of all jobs advertised in the region to date in 2016 (90,888 jobs out of 601,920 total). Information technology positions span a number of industries and verticals, with healthcare IT rising as a clear need in the region. The table below highlights the top hiring employer, most in-demand occupation, median advertised salary, and number of people per job in the Metro’s ten largest communities. For the full report on the 7-county Twin Cities Metro, visit our Reports page. Today we released the report on Southwestern Minnesota’s online job market. Southwestern Minnesota’s economy is dominated by production manufacturing–particularly in agricultural production–and healthcare. About 25 percent of jobs in these industries were held by workers 55 and older in 2015. Home to 7 percent of the state’s population, the Southwest is sparsely populated. Mankato (pop. 41,040) is the largest city in the region, ranking as the 22nd largest in the state in 2014 (US Census Bureau Population Estimates). The top five job titles advertised online in the Southwest since 2012 are 1. Registered Nurse, 2. Class A CDL Truck Driver, 3. Physical Therapist, 4. Owner Operator, and 5. Licensed Practical Nurse. Of the 6 major regions, the Southwest had the second highest median advertised salary in 2016 at $56,100/year. No major local or regional job boards could be identified in our research, and overall job posting volume is low in the region, but proportionate to its population similar to the Southeast and Northeast. In contrast, the Northwest and Central regions have many more people competing for fewer jobs, and the Twin Cities Metro has fewer people per job opening. Recruitment for truck drivers is booming in the Southwest, with 30 percent of jobs advertised in the first three quarters of 2016 being transportation and shipping positions–tripling in number since 2015. Healthcare practitioners are also in high demand, making up 12.5 percent of the total 51,464 jobs advertised in the region between January and the end of September this year. The number of job postings seeking sales, business development, and information technology professionals declined since 2015. In demand certifications include a commercial driver’s license, HAZMAT, nursing certifications, and CPR. 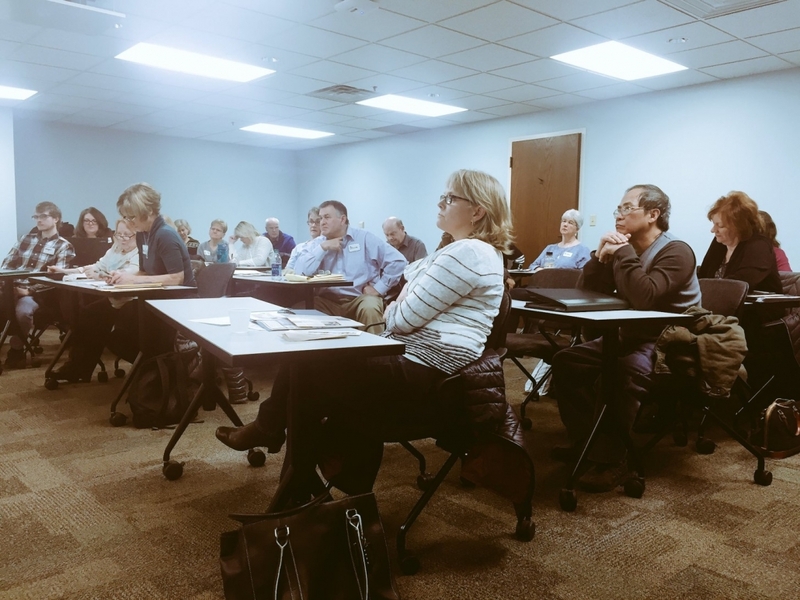 RealTime Talent has been busy developing a series of regional strategies to help academic, workforce, government, and economic development professionals across Minnesota better use data to respond to local job markets and labor force needs. The executive summary of the 40-page report on Minnesota’s diverse landscape of job opportunities was released publicly today, November 30th, after being shared with colleagues and stakeholders closest to the data. Throughout the month of December, RealTime Talent will post segments of this larger report that highlight each region in its own blog post. At the end of the month, we will close with the full, 40-page report and a special statewide workforce gap graphic that we have been developing for several months with support from our partners. We can’t wait to share the insights we have uncovered in this rich online job posting data from TalentNeuron Recruit, and hope this work supports your own professional practice wherever you work in our wonderful state. We encourage you to get excited for the release of these unique reports by reviewing the executive summary and tuning in December 2nd for the first regional installment on Southeast Minnesota!